Memo : Shopping Cart Payment. Deposit to RuizCoin.biz. The amount of 50 USD has been withdrawn from your account. Accounts: U2917300->U17190323. Memo: Shopping Cart Payment. 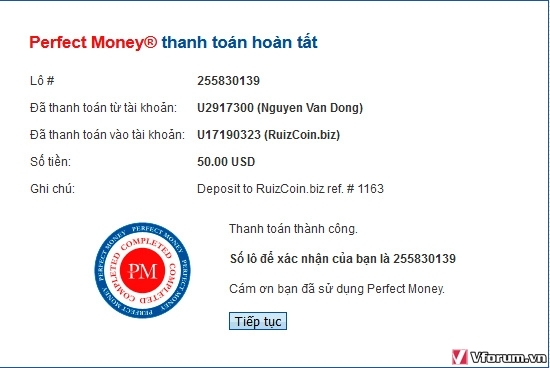 Deposit to RuizCoin.biz.. Date: 01:00 15.04.19. Batch: 255830139. Page generated in 0.2322 seconds with 14 queries.